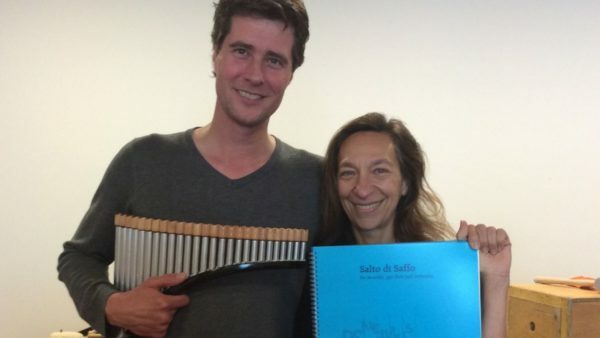 For the NTR Saturday Matinée in the Amsterdam Concertgebouw, the Dutch-Greek composer Calliope Tsoupaki is composing a double concerto ‘Salto di Saffo’ for panpipes (Matthijs Koene) and recorder (Erik Bosgraaf). This work will be performed on October 6 2018 at 14:15, in collaboration with the Radio Philharmonic Orchestra conducted by Markus Stenz. Click here to listen to the live performance. Click here for the brochure with more information (in Dutch, pages 8, 11 and 36), and here to order tickets for the serie ‘Radio Filharmonisch Orkest & Friends II’, both pages in Dutch.